Even though Houston avoided the worst of the polar vortex, the coming of spring is always a welcome event. Temperatures rise to the perfect level, and you can bask in the sun as you enjoy activities like biking, picnicking, etc. in one of Houston’s many parks. The beginning of spring is a relatively dry time of year. Dry hair has a tendency to tangle, causing breakages as you try to untangle it. To prevent this, ask your hair stylist about what moisturizing conditioner is best suited for your hair and extensions. As a rule of thumb, though, it’s a good idea to avoid sulfate products. At the same time, don’t make the mistake of washing your hair too frequently or with water that’s too hot. Both can strip your extensions of essential moisture. Ideally, you should wash your hair a few times a week. As an added bonus, treat your hair to deep conditioning treatments. You don’t have to go overboard either; there are tons of recipes for at-home treatments out there. Who doesn’t love taking a swim as temperatures rise? Whether you’re taking a beach trip or enjoying the water in your local swimming pool, you need to take measures to keep your hair extensions safe. A swimming cap is non-negotiable. But apart from that, make sure you’re rinsing your hair after coming out of the water and let it air dry. Don’t brush it while it’s wet either; this can cause your extensions to weaken and break. Since both salt water and the chlorine in public pools can cause dryness, deep condition your hair afterward to restore all the lost moisture. Can Your Hair Extensions Take the Heat? Temperatures are already rising in spring. Don’t exacerbate the heat your hair is exposed to by using heat styling products too often. Set your styling products at lower temperatures, and don’t let them be in contact with your hair longer than what’s needed. If you’re out in the sun for a very long time, make sure you cover your hair to prevent it from sustaining too much damage. It’s hard to keep track of all the minutiae you need to be aware of to take care of your hair extensions every season. So why not consult professional hair extension experts? At Hair Extensions of Houston, we’re known for our unparalleled hair extension styling and maintenance services. 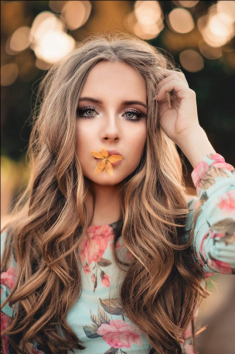 Our full-service hair salon will give you all the hair-care services you need to maintain your hair extensions in Houston, TX. Book an appointment today by getting in touch with us at 832-717-3626!